Well, Mary “most probably exists somewhere”, both believers and sceptics will gently agree. Yes, she’s indeed revered across the planet for some reason. Yes, something more is possibly behind this, than the ordinary status of a canonized saint. Yet, what’s next? And next there are the facts! Isn’t this marvellous that she’s worshipped as immaculate Virgin Mary in Catholicism, the Most Holy Mother of God in Orthodoxy, and the most respectable of all earthly women in Islam? To support the latter fact, I will cite the Koran: “And angels said: “Oh, Maryam (Mary)! Truly, Allah has chosen, purified and elevated you above women of all worlds” (Koran 3:42-43). The following conclusion may be drawn of the aforesaid: given that the total number of followers in the two leading global religions (Christianity and Islam) makes up more than 3.8 billion (2.3 + 1.5, respectively), about a half of the world population know about Mary and revere her in one way or another. 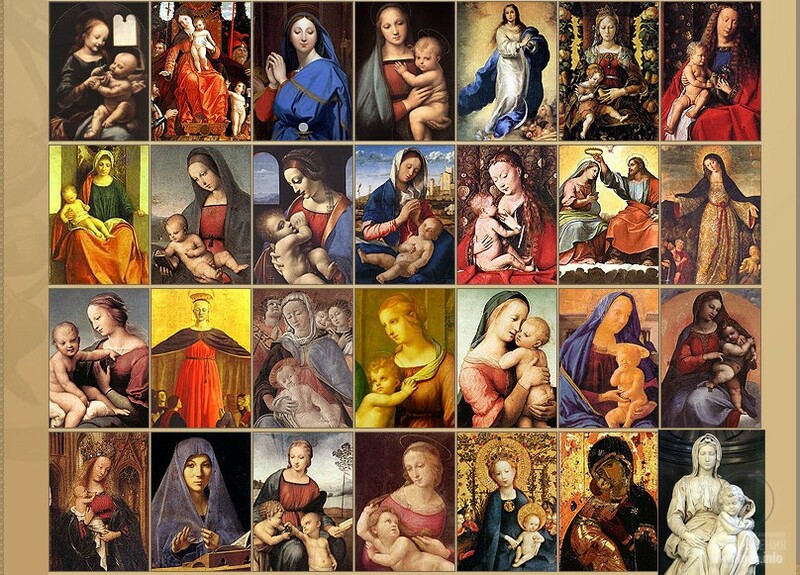 Isn’t this unique that many people, irrespective of their age, religion or nationality, on a subconscious and heartfelt level associate the best, purest and most perfect visions of the human nature with Mary’s image, rightfully placing Virgin Mary on a special honorary place in the divine “heavenly hierarchy”? And it’s not her high hierarchical position or proximity to God that matters the most, but rather the fact that for some reason nobody doubts she’s a great spiritual being who for ages has been rendering invisible help and support to suffering humanity. Far and away, many of us have addressed her all-pure image at difficult moments of life, asking her for help and comfort. Don’t you also think, dear readers, how amazing it is that Virgin Mary’s authority still remains adamant and unshakeable despite all the changes experienced by human society over the last two millennia and in spite of all distortions made to the history to favour someone’s mercenary interests? 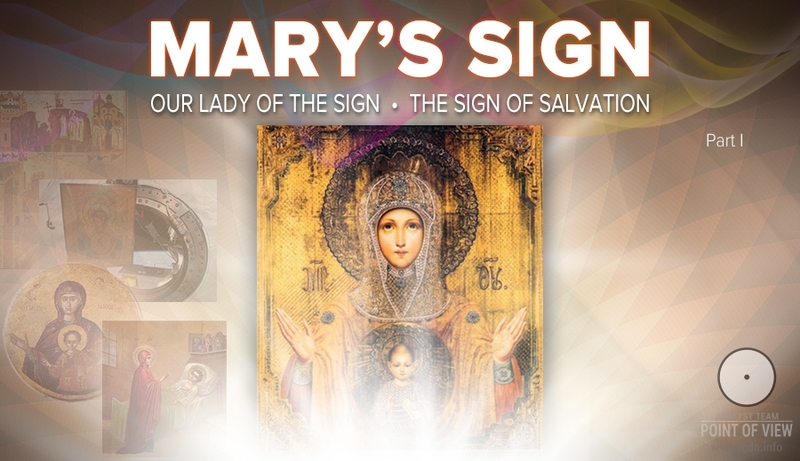 Isn’t that amazing and strange that most of evidences of miraculous healings, visions and apparitions of a supernatural character, compared to those of all canonized saints taken together, are associated with Virgin Mary? History chronicles are full of her miracles, which fact is difficult to deny. For justice' sake let’s note it’s not Buddha, Muhammad, Jesus, or any other saints or prophets who come to people in the time of severest ordeals, but exactly Virgin Mary. There is even a special website (http://miraclehunter.com) collecting confirmed and unconfirmed facts of Saint Mary’s apparitions, visions and revelations in different times. 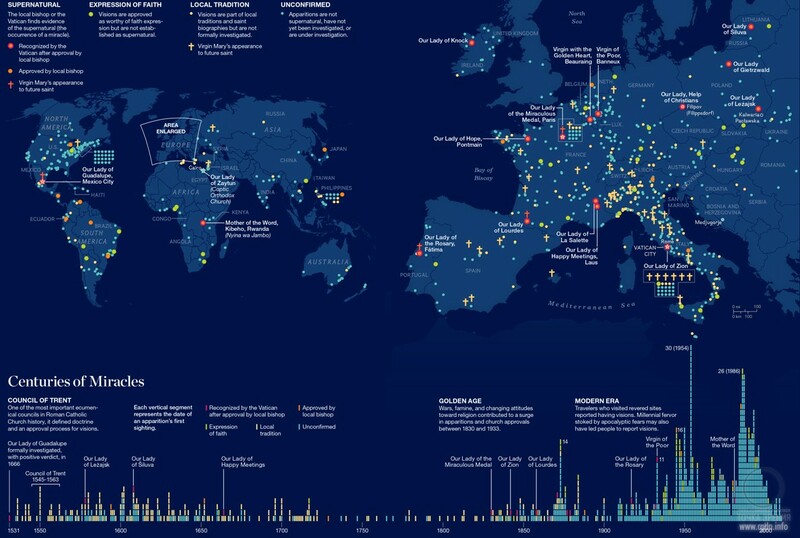 Below we present a map from the said website, depicting the geography and chronology of Marian apparitions to people in various parts of the Earth. 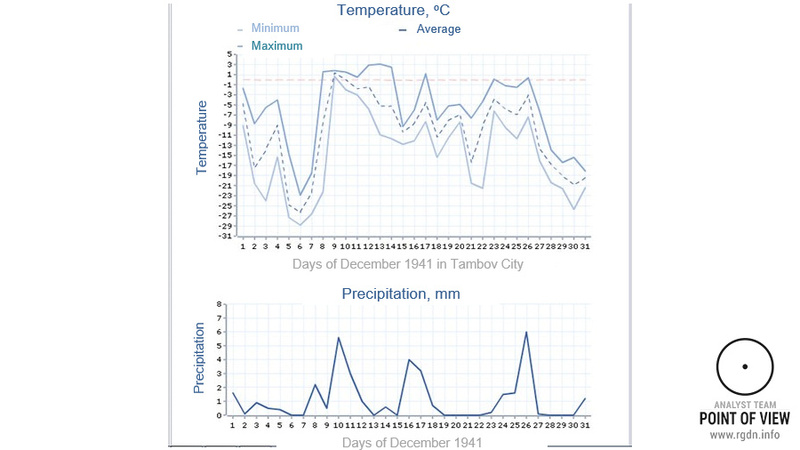 Please, note statistics of the late 20th century. The story of how on 8 December 1941, by Stalin’s order, the Tikhvin icon of the Mother of God was taken on a plane to fly round Moscow besieged by fascist troops was displosed by Orthodox writer Nikolai Blokhin. The message struck many people and was widely reported in mass media publications. Some people believe this story proves that Stalin was a secretly believing leader who underwent inner transformation during the war, and that the Mother of God helped him. However, there are objections to such version, too: military historians and clergymen carried out their own investigations and started proving that myths about religious processions and signs emerged in connection with all major battles, and so the above story’s a mere fiction. I won’t assert anything, for I don’t know for sure. 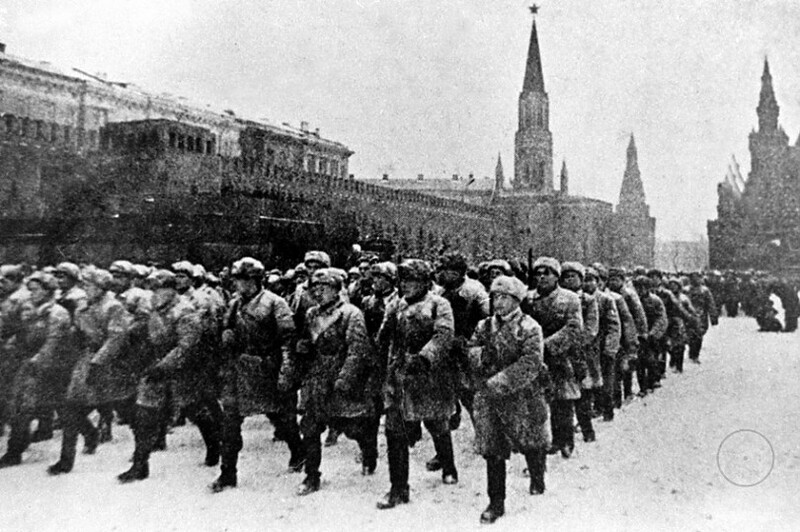 I would only like to mention that after “the Mother of God icon flight round Moscow” in December 1941 a major turn in the course of the entire Second World War took place: the USSR capital withstood the siege, and the counter-offensive began which later on grew into the final Victory over fascist Germany. 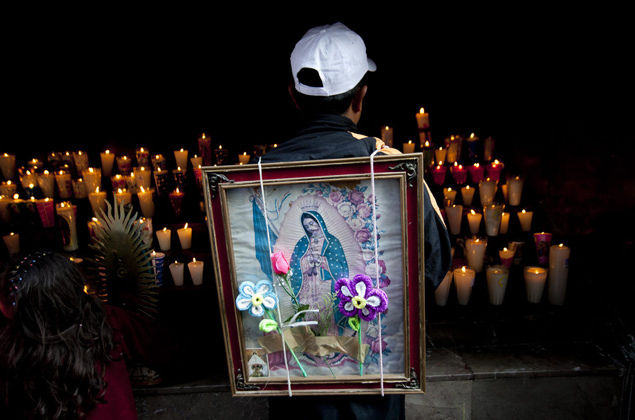 Latin America inhabitants revere the image of Our Lady of Guadalupe considered to be the patroness of both Americas. The worship of the Guadalupe Virgin started with a humble American Indian Juan Diego who lived near Mexico City. On 9 December 1531 he, the neophyte Catholic, hurried past the hill of Tepeyak to attend the morning mass in a church and suddenly heard wonderful singing. Having decided to find out from where the voice (or voices) was sounding, he climbed up the hill and saw a beaming cloud. 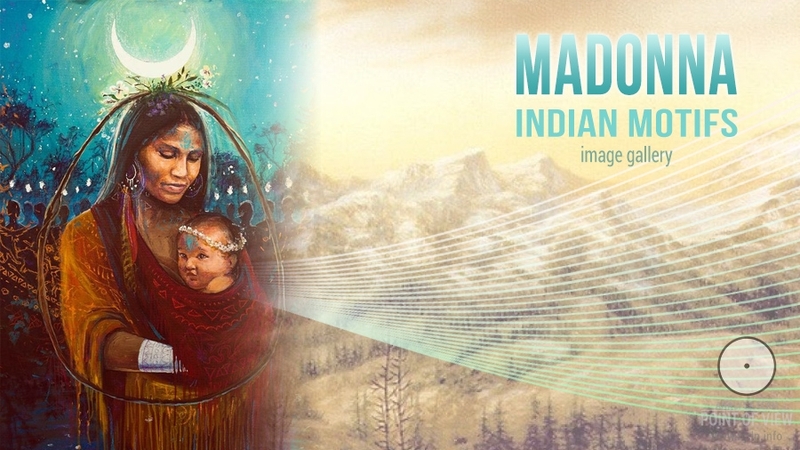 In that cloud Juan Diego saw a beautiful young woman who looked more like girls from his tribe than a white Spanish. The lady introduced herself as Virgin Mary and asked to build a church in the place of her apparition, so that all interested people could revere her Son Jesus Christ. But ill luck! 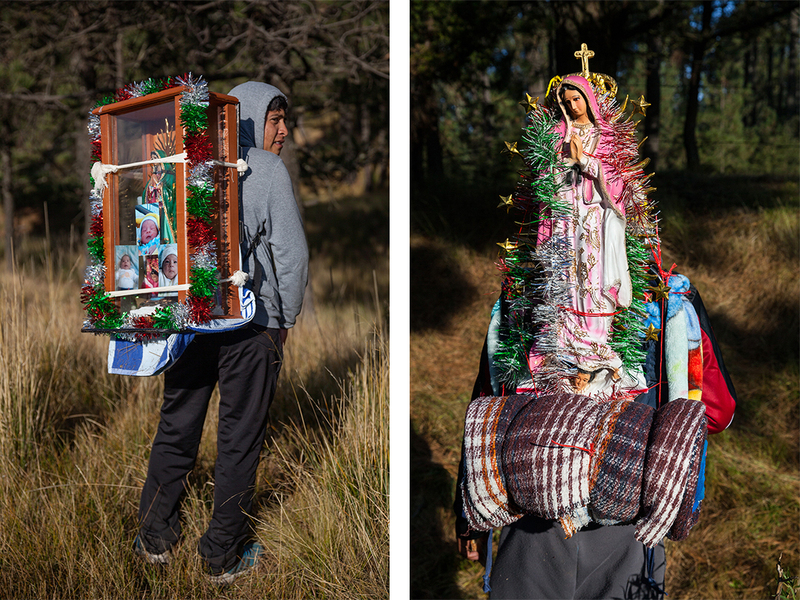 Priests didn’t believe Juan, having decided the Mother of God could not appear to some Indian who had no soul (the Spaniards then thought the aboriginal population of Latin America had no soul, meaning Indians could be killed without a twinge of conscience). Yet, the Mother of God did not retreat. 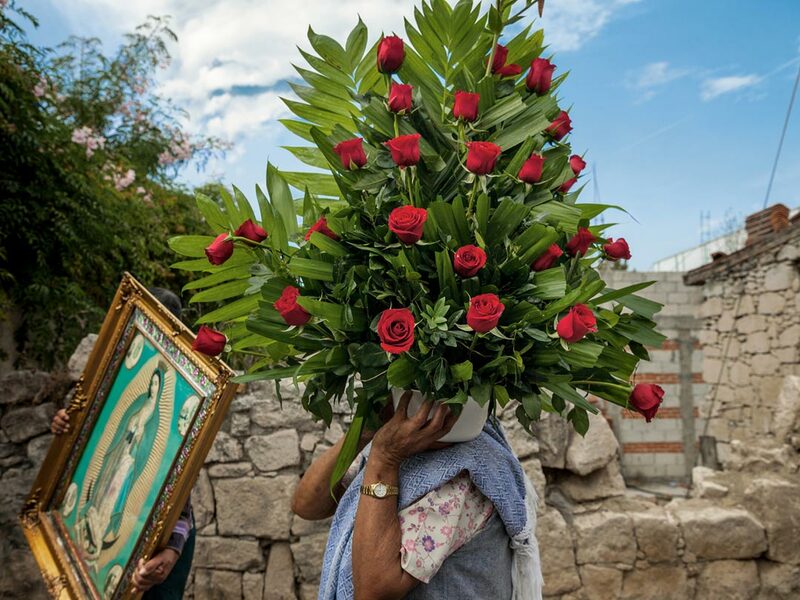 Once when Juan Diego went to invite a priest for his sick uncle, Virgin Mary appeared to the miserable Indian again and ordered him to collect all flowers which he would find on the hill. The young man obeyed, though nothing grew on the hill. But suddenly he saw a rose bush growing on a rock. “Here’s My sign,” Virgin Mary said. “Take these roses, wrap them up into your cloak and take them to the bishop. This time he will trust you.” Having come to the bishop, Juan Diego unfolded his cloak where the roses were, and everybody saw the Mother of God on the cloth, standing on a new moon, surrounded by stars and the Sun. Thereafter the priests repented of their disbelief, whereas Juan Diego’s uncle who was at death's door was miraculously cured. All this convinced the aboriginal population of Mexico who continued worshipping their deities that Christianity was the true faith. 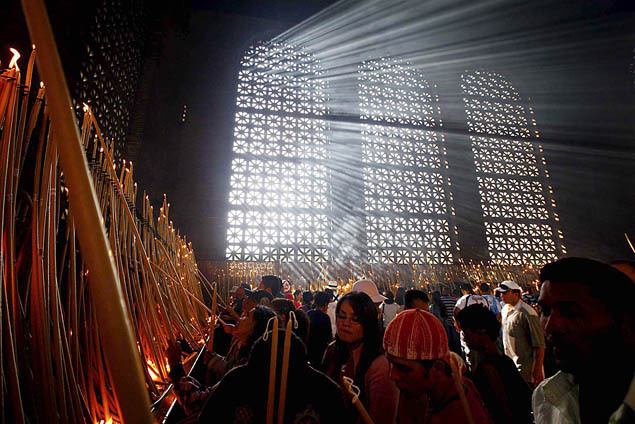 And following the apparition of Our Lady of Guadalupe almost 6 million Indians voluntarily adopted Catholicism. That’s how Latin America was Christianized. 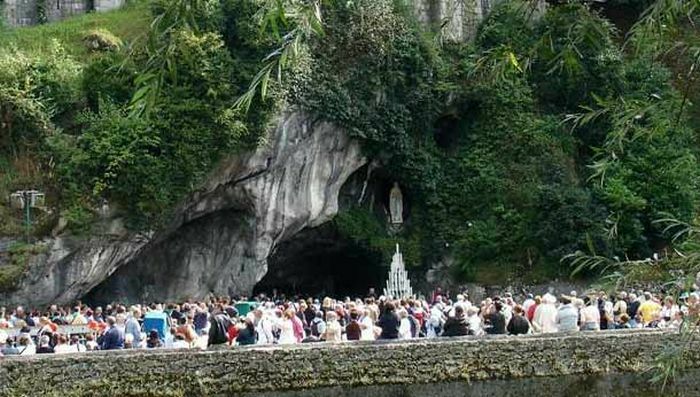 In 1858 Virgin Mary appeared to an ordinary village girl from a French town of Lourdes. 14-year-old Bernadette Soubirous who possessed no conspicuous intellect actually became a herald of the Catholic dogma of the Most Holy Mother of God Immaculate Conception. On 11 February 1858 Bernadette’s parents sent her together with other kids to gather brushwood for kindling. In order to get to a grove where brushwood could be collected, the children had to cross a little stream. Bernadette’s friends quickly coped with such task, while the girl hesitated whether to cross the stream or not. Having resolved not to wait for her decision, the kids left Bernadette alone. When the girl finally made up her mind to cross the cold stream, she suddenly saw a light golden cloud emerging from a cave on the other side of the stream. 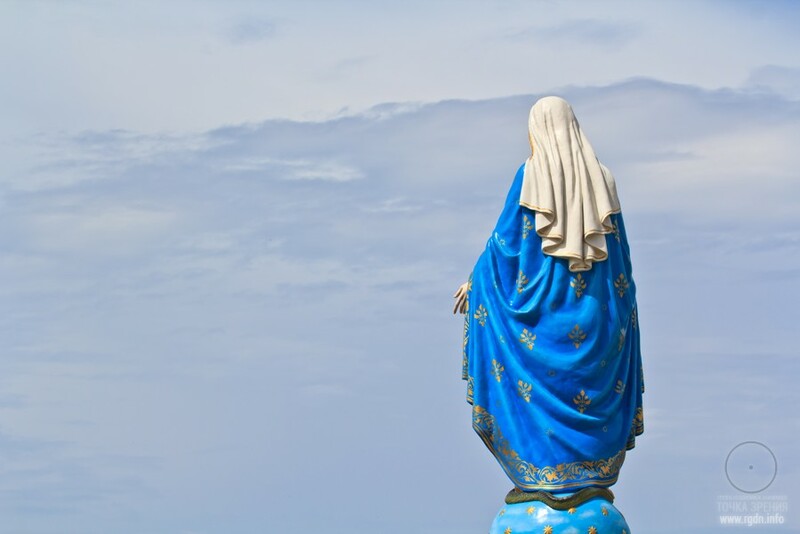 A woman of heavenly beauty was standing on the cloud… First time Bernadette didn’t dare follow the beautiful lady, but on all other 18 apparitions the young shepherdess not just followed the stranger, but talked to her as well. In the beginning, the girl thought that was a soul of one of the village inhabitants who had died a year before, but later on she understood she met and communicated with Virgin Mary herself. 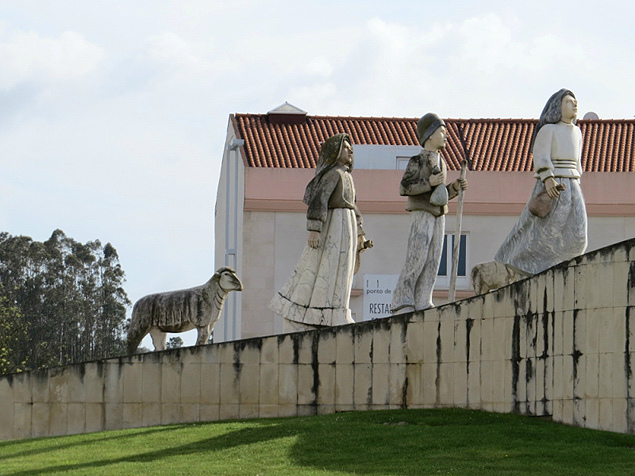 It is considered that Virgin Mary appeared to three children from the Portuguese town of Fátima in 1917; however some researchers assure the apparitions continued from 1915 until the end of 1917. 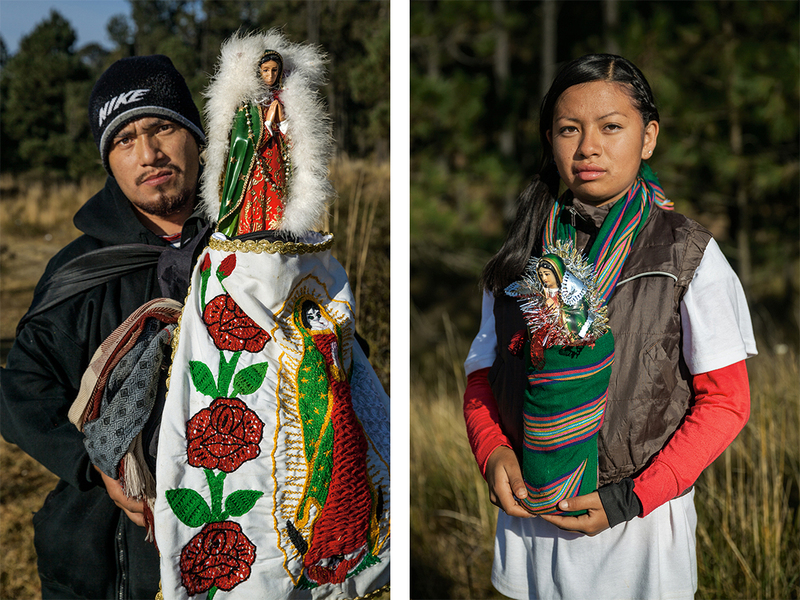 The Mother of God left three predictions to the three children: Lúcia dos Santos, Francisco and Jacinta Marto (two sisters and their brother), which predictions were not immediately disclosed. No one believed the children at first. When Jacinta told her parents about their meetings with the beautiful Lady, they poured ridicule on her, and Lúcia was even beaten. The town headman interrogated the children jointly and severally, but couldn’t get their confession that all those meetings and predictions were the children’s fiction. We’ve written about this on our website several times, e.g. in the articles: Saint Malachy’s prophecy and Virgin Mary’s apparitions in Fátima, Predictions about the last Pope and the last US President. 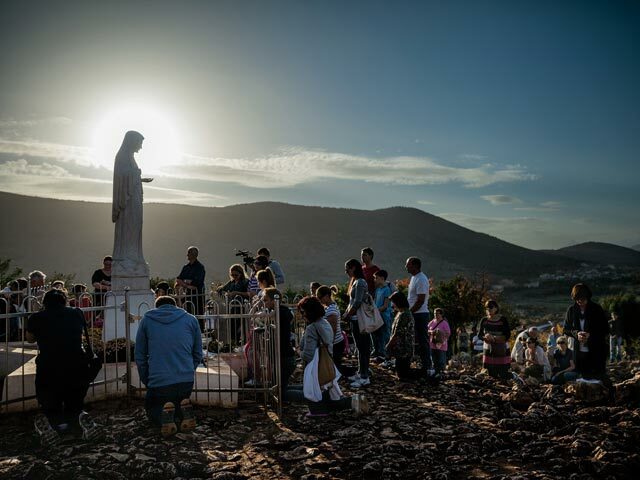 Medjugorje became first known in summer 1981, when six local youths (4 girls and 2 guys) declared Virgin Mary had appeared to them and introduced herself as the “Sovereign on the World”. There is information such apparitions continue to this day. When Virgin Mary appears, she communicates short messages calling people to convert themselves to faith, prayer and peace. 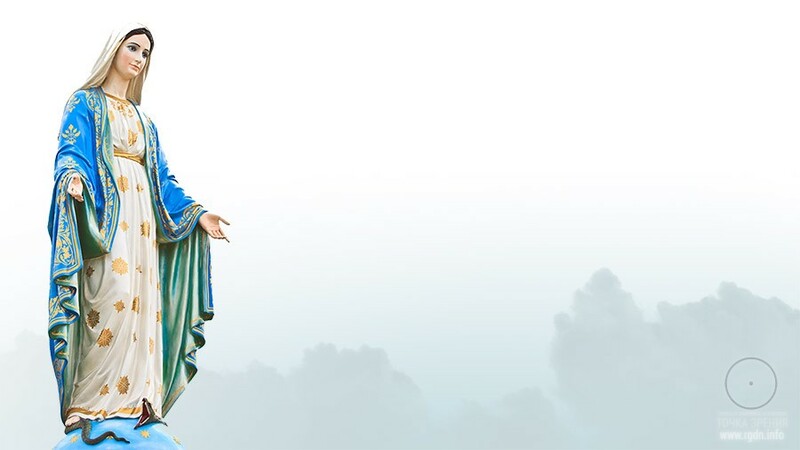 As of today, three witnesses of the apparitions receive Mary’s messages daily and three others receive her messages only once a year. 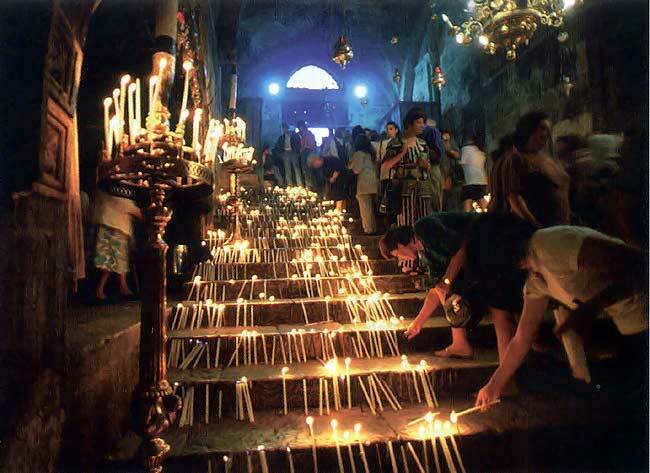 Apparitions take place regularly, at one and the same time. 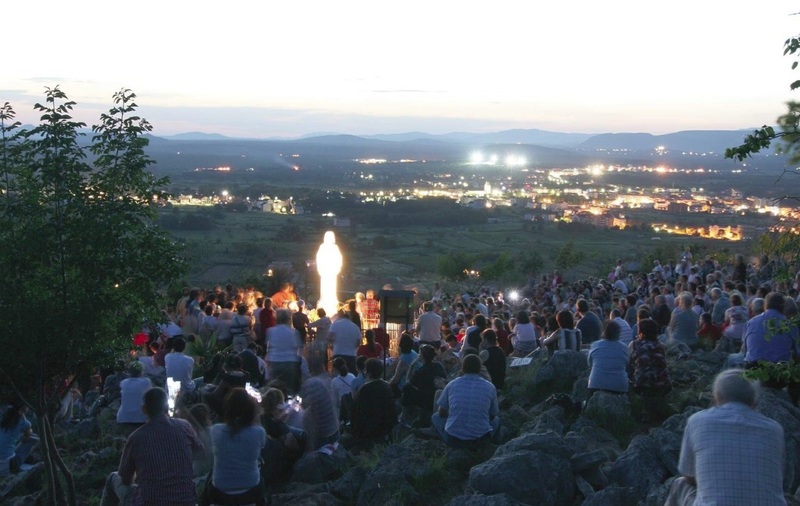 It’s interesting that four of the witnesses live in Medjugorje and other two live in Italy and the USA. Despite such circumstances, all of them continue hearing and seeing Mary. 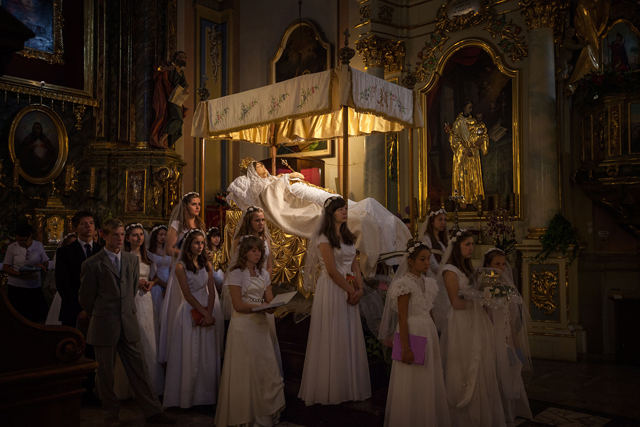 The Purest Virgin appeared to people not just in Europe and America. In the early 1970s Virgin Mary showed herself in a Japanese city of Akita. The Mother of God was seen by deaf nun Agnes Katsuko Sasagawa. At the age of 19 she lost her hearing ability after a poor surgery and was later on bedridded for 16 years. Physicians only lifted their hands in dismay, being powerless to help the girl. The deaf patient was moved from hospital to hospital. In one of the hospitals she met a nurse who was Catholic, and the latter told her about the Christian faith. 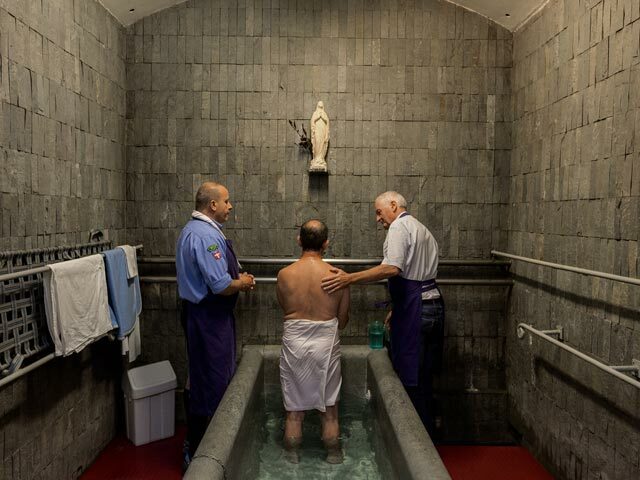 Owing to the nurse, Anges’s condition improved, and in 1969 she decided to take the veil and devote herself to God. 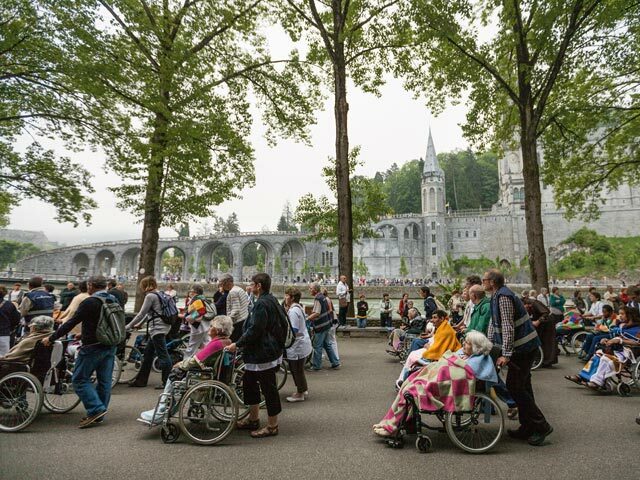 However, in 4 months after the veil taking the women’s state worsened again, and only the holy water from Lourdes spring helped the nun to recover. 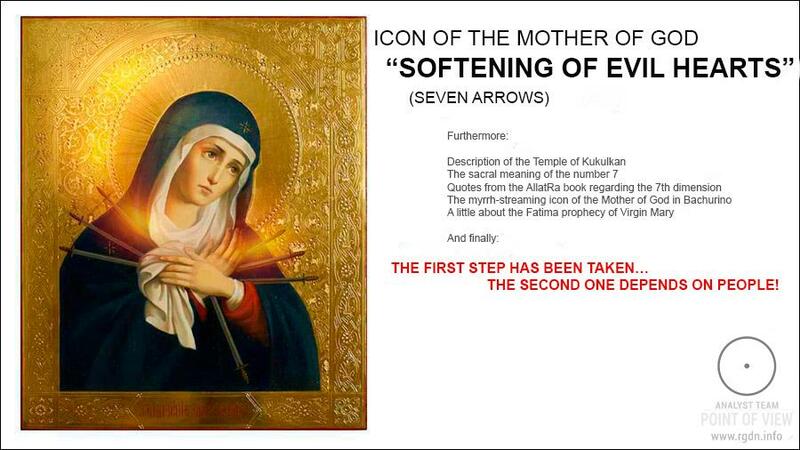 For the first time Agnes saw Virgin Mary on 12 June 1973 while praying. 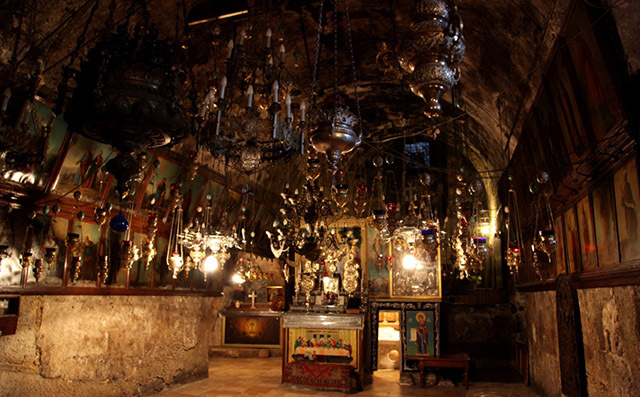 Shining emigmatic beams were coming from the Ciborium. Agnes was seeing those beams for several days, and then a cross-shaped stigma emerged on her left palm. Pain was intolerable, but the nun stood firm, saying to sisters who endeavoured to comfort her that the wound on the Blessed Virgin Mary’s hand is much deeper. Surprised sisters decided to go to the chapel and discovered a similar wound on Virgin Mary’s statue… Yet, miracles did not end in that. On the same night Agnes was praying to the Mother of God and heard the first message. Virgin Mary told the nun that soon she would be healed and called all sisters to pray for people in order to atone for their sins and stop the Heavenly Father’s anger. The Mother of God appeared to Agnes several times more, urging her to be patient and staunch. He predicted not just the nun’s future destiny full of persecution and mockery, but also the destiny of the Japanese nation, in particular the mortal tsunami of March 2011. In 10 years after Virgin Mary’s apparition Agnes regained her hearing ability and totally recovered. 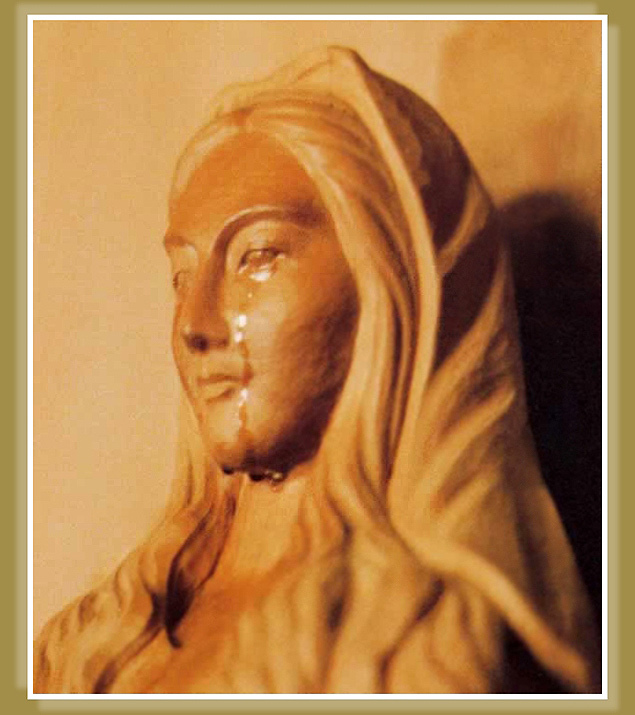 Following numerous humiliating inspections of the sisters who had witnessed the miraculous apparition, the Roman Catholic Church finally recognized the apparition fact, though even before the investigation over 500 people, both Christians and Buddhists, had been Virgin Mary’s statue shedding blood, sweat and tears in Akita convent. 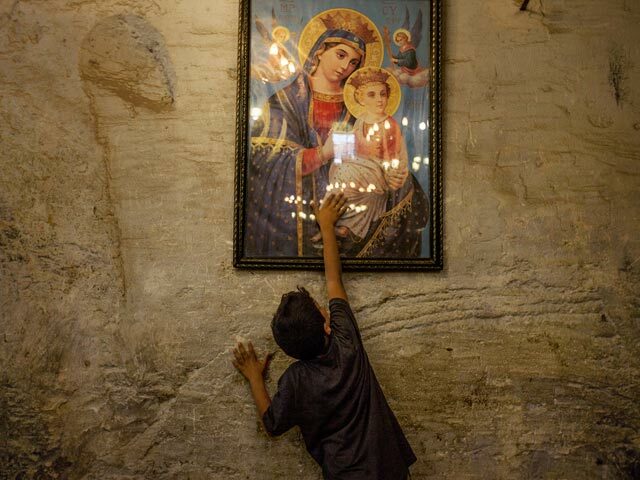 Christians who live in the partially occupied territory of Nineveh valley report of the miracle of Marian apparition to them. 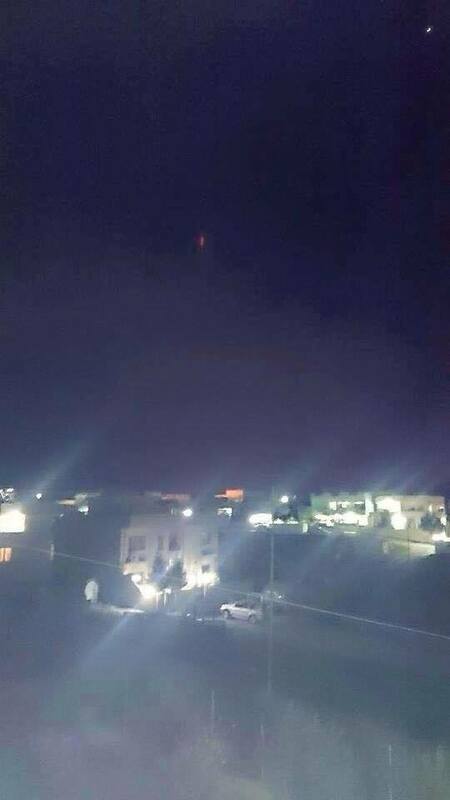 In the evening of 21 December 2015, people in different parts of Alcash and Ankawa cities witnessed an unusual phenomenon: a bright red figure lit up on the completely dark night sky and didn’t go out for several minutes. 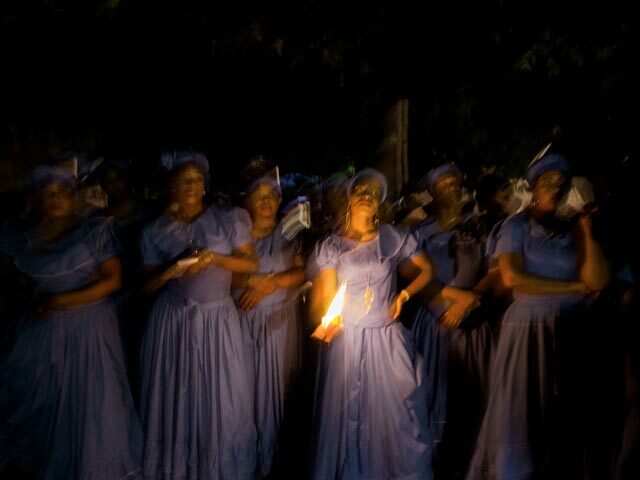 The fiery image staggered local inhabitants. 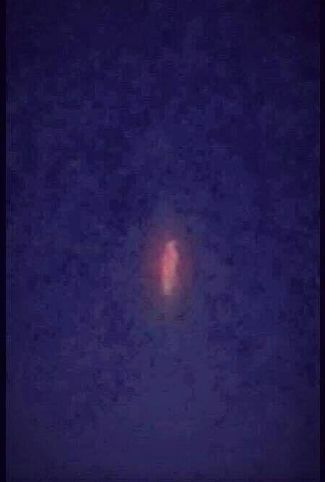 Most believers in Nineveh think the radiant figure was nothing other than a silhouette of the Most Holy Mother of God, well-known to Christians from iconography and church sculpture. 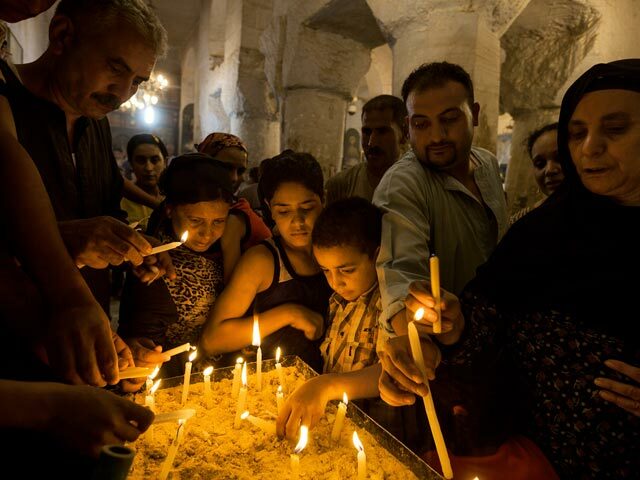 The miraculous event provoked a wide response among the Christian community of Iraq. AND HOW MANY APPARITIONS HAVE REMAINED UNACCOUNTED? 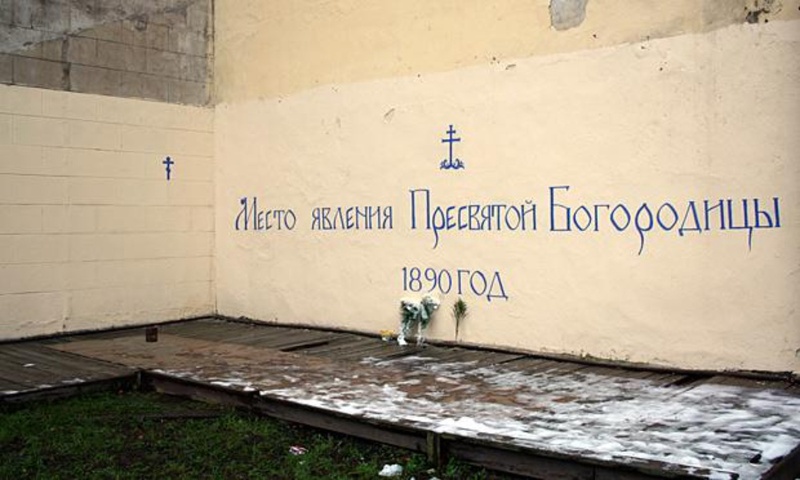 A miracle took place on 16 December 1890 in the house No. 1 inVoskov Street, Saint Petersburg. 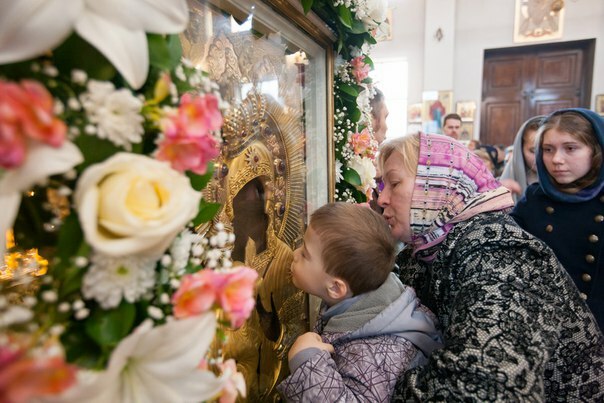 An incurably sick boy addressed the heaven with a prayer, and the Mother of God appeared to him and instructed him to go to the other part of the city to see her wonderworking icon. 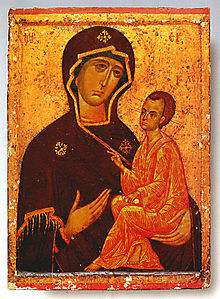 At that time the icon was kept in a church in Obukhovskaya Oborona Avenue. The paralyzed boy went there, prayed in front of the wonderworking icon and returned home on foot. When he grew up, he became a monk in a parish of the Most Holy Mother of God, arranged in the same house in Voskov Street. There is no parish there anymore, but the memory of the Mother of God apparition to the child has continued to this day. How many apparitions of Virgin Mary, the Most Holy Mother of God have remained unaccounted in formal statistics? Dozens, hundreds, thousands? Now, let’s consider how long is the thanksgiving and laudatory list of names, titles and epithets given to her, the Most Holy Mother of God, in Christian and other traditions. And this list is far from being complete. Incredible, isn’t it? All this relates to a single person! Has ever in history (or in any religion) existed a similar true saint who would be glorified by people in their prayers as lavishly? Has ever in history (or in any religion) existed a similar true saint who would showed so many miracles of his or her Presence and support to people? Has ever in history (or in any religion) existed a similar true saint who would be portrayed on icons in such abundance and multiformity? 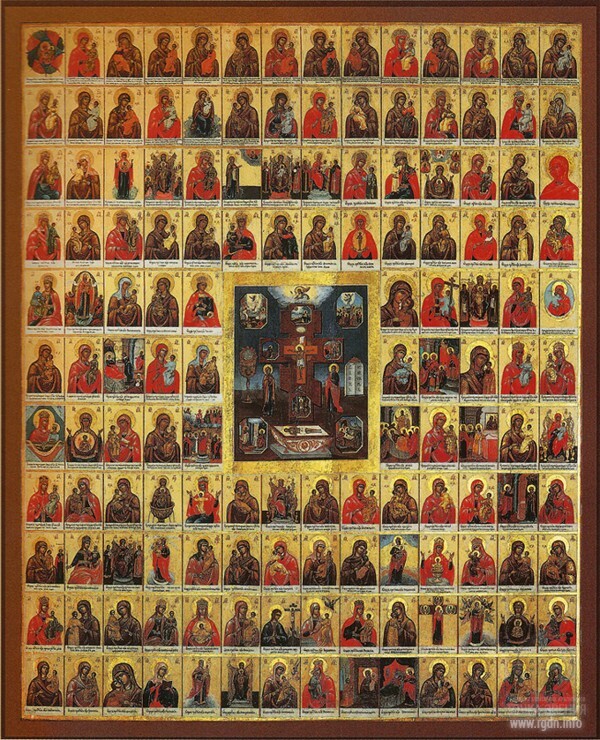 Only the Russian Orthodox Church calendar mentions around 260 revered and miracle-working icons of Virgin Mary, while all in all there are more than 860 (!!!) types of her iconic depictions. To tell the truth, I’m experiencing a sort of a reverential awe just of writing down these lines. 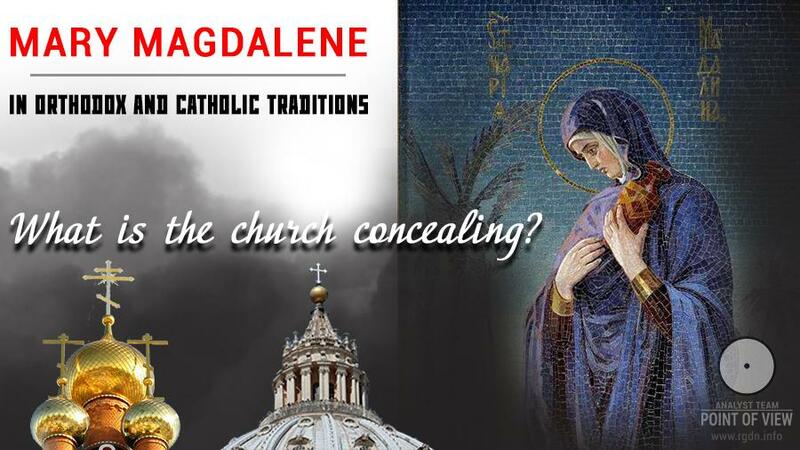 And, no matter who she is – the mother of Jesus or His devoted disciple Mary Magdalene (though the latter version is what we reasonably believe in much stronger), her presence, support and Love are granted to all of us so patently and obviously (!) that it would be totally logical and appropriate for all of us to make a step towards her as well – with Love! 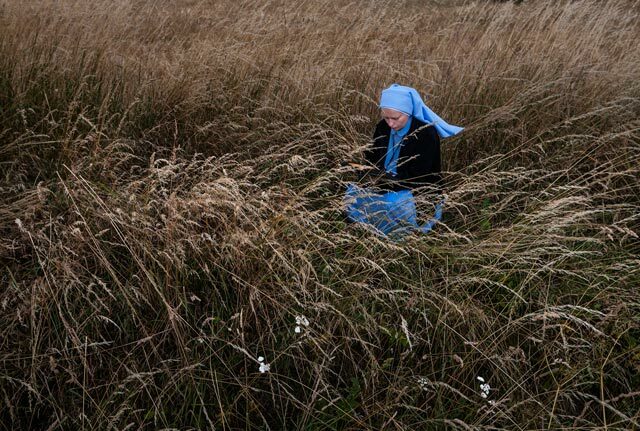 Yet, for some reason we continue running, hurrying, sinning, being preoccupied with numerous problems and paying attention to other things, while Mary is still waiting... Can she eventually count on our step? Who would be asked this? Ourselves! There is an inconceivable mystery in the striking and incontrovertible evidence (e.g. that contained in historical artefacts) which puts pundits in an awkward position: the most holy image of her with a child in her arms had been well-known to ancient people long before Christianity emerged as religion. In the article Worship of the Mother of God we described this and presented the most complete online collection of artefact images. Look at those images! Who can explain their common meaning? Say, historians have agreed to think in a certain way, but we, people, should be more adequate! Oh, Mary! Your radiant image gives us so much heavenly warmth and endearment! There are so many of those who address You with hope and whom You have helped! Oh, the dearest and most beautiful of women! The most caring of mothers! The most devoted of friends! Your grace knows no bounds. Half-dropped eyelashes shade Your Most Holy face. Your gentle steps have left divine traces in hearts of many of us, awaking, attracting and calling us to Father’s Home. Why is there such warmth inside when You are mentioned? Why do tears unwittingly fill the eyes in a heartfelt burst? Why, despite our ignorance and animal wildness, You continue knocking at our dark houses again and again, being ready to bring a ray of light to help us? What a great secret is hidden in Your charm, in Your spiritual feat and service? Today, much of the aforesaid seems to be a peculiar fairy tale, and there are numerous occasions for mockery. Yet, can any side opinion shake or make a faithful believer doubt? When God or Allah is in the first place, everything else is put into place. 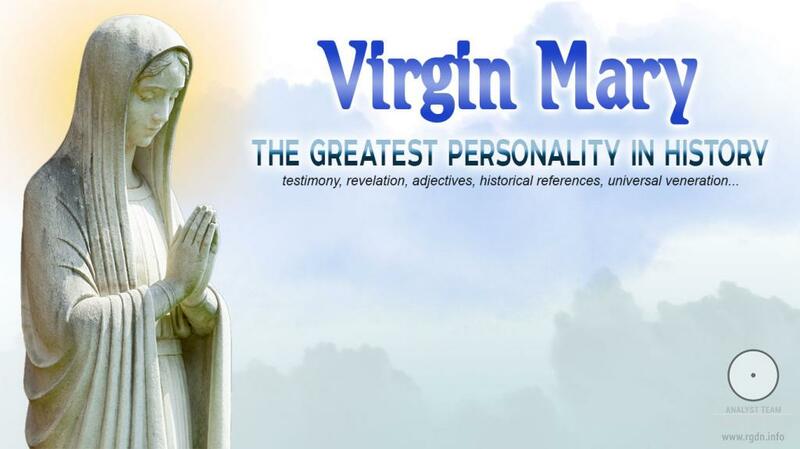 Are we able to realize on our own who Virgin Mary really is? Will our mind, being a part and tool of the Animal Mind, provide us with an answer to this question? It is doubtful, for real knowledge hardly comes through the mind. Nonetheless, we are living in a truly marvellous time and do have someone to ask. Who knows, maybe these lines are not written for nothing, for everything’s in God’s hands, and so we, ordinary unknown people striving for knowledge and hoping to discover the greatest human mystery, hereby kindly address Rigden Djappo (Imam Mahdi, the Comforter, Maitreya, Geser Khan, Messiah, Saoshyant, Kalki Avatar...) with a request to tell us more about Mary. Perhaps, the time has already come? Maybe, our hearts will inflame with reciprocal love for Her? Maybe, once people discover the secret, those will be found among the seven billions who will deserve the genuine service? Probably... the Dawn will approach then, and a new day will bring the long-awaited Beginning.